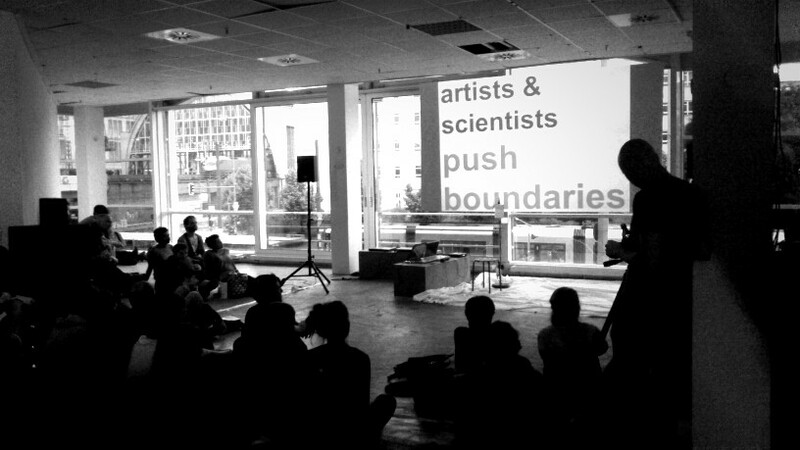 As a discipline, Human Computer Interaction (HCI) has always wandered on the boundaries between art and science, mainly due to its multidisciplinary genealogy, but often because it is a process of envisioning and questioning the future. The ideas of Cyborg, Augmented Humans and Bio-Feedback have been strong research themes for decades in HCI. However, two currents need to merge in order for us to grasp the “augmented human”: firstly, to sense and understand ourselves is crucial – reading and understanding our bio-signals and secondly, to let ourselves be controlled. My keynote (video here) on the Leonardo Stage revolved around such matters, where art and science naturally meet to discuss how contemporary bodies will sound and look. Read the bio/synopsis from the program of Body Controlled here. More will be published on the upcoming issue of the Canadian Journal of Electroacoustics! Recognizing how a person actually touches a surface has generated a strong interest within the interactive surfaces community. Although we agree that touch is the main source of information, unless other cues are accounted for, user intention might not be accurately recognized. We propose to expand the expressiveness of touch interfaces by augmenting touch with acoustic sensing. In our vision, users can naturally express different actions by touching the surface with different body parts, such as ﬁngers, knuckles, ﬁngernails, punches, and so forth – not always distinguishable by touch technologies but recognized by acoustic sensing. 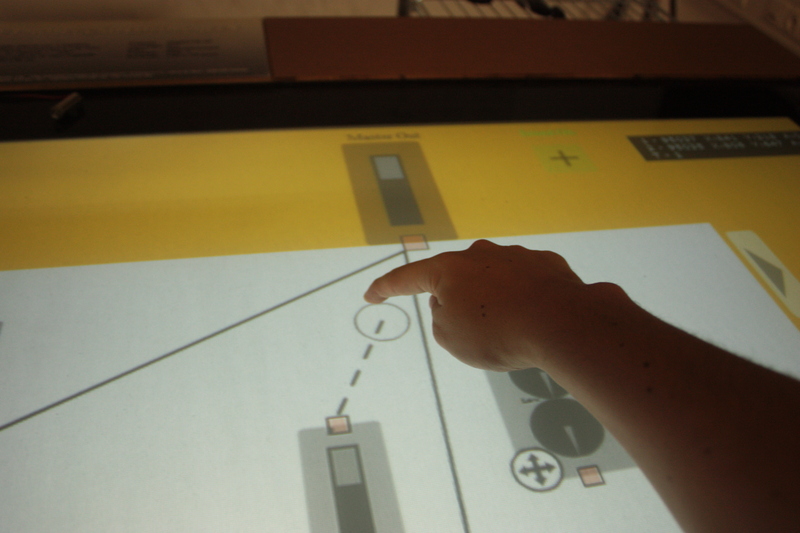 Our contribution is the integration of touch and sound to expand the input language of surface interaction. Daniel Mendes, Pedro Lopes and Alfredo Ferreira, ACE 2011. The recent widespread of multi-touch interactive surfaces make them a privileged entertainment device. Taking advantage of such devices, we present an interactive LEGO application, developed accordingly to an adaptation of building block interactions and gestures for multi-touch tabletops. Our solution (LTouchIt) accounts for bimanual multi-touch input, allowing users to create 3D models on the tabletop surface. Through user testing, we compared LTouchIt with two LEGO applications. 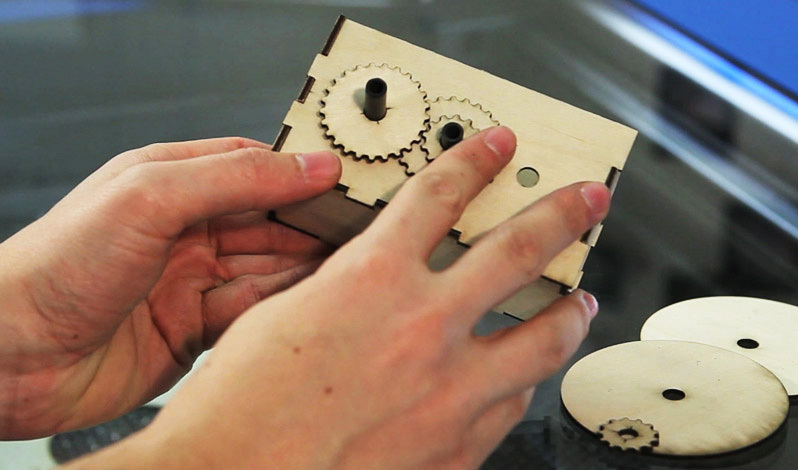 Results suggest that our interactive application can provide a hands-on experience, more adequate for entertainment purposes than available LEGO applications, which are mouse based and follow a traditional single input interaction scheme. Multitouch enabled surfaces can bring advantages to modelling scenarios, in particular if bimanual and pen input can be combined. In this work, we assess the suitability of multitouch interfaces to 3D sketching tasks. We developed a multitouch enabled version of ShapeShop, whereby bimanual gestures allow users to explore the canvas through camera operations while using a pen to sketch. This provides a comfortable setting familiar to most users. Our contribution focuses on comparing the combined approach (bimanual and pen) to the pen-only interface for similar tasks. We conducted the evaluation helped by ten sketching experts who exercised both techniques. Results show that our approach both simplifies workflow and lowers task times, when compared to the pen-only interface, which is what most current sketching applications provide. 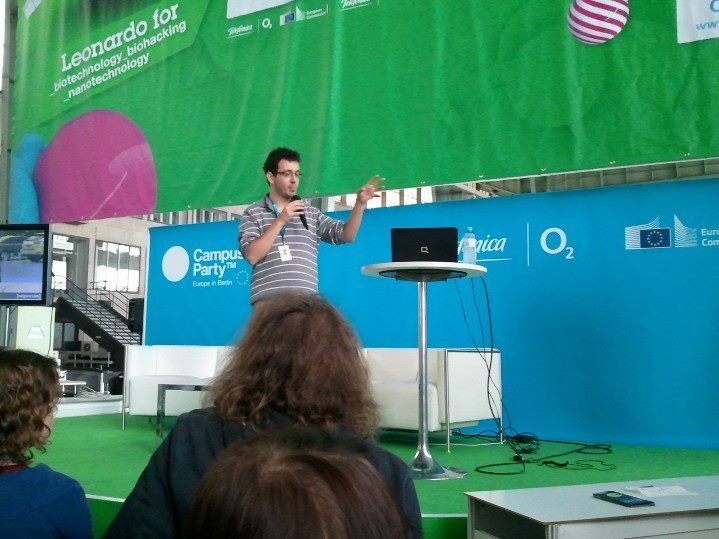 Here it goes: multitouch frameworks, possibilities and simulators – all of them open source + cross platform. As far as developing MT (short for multitouch) applications you have a wide number of choices, the best way you can move around is stick to standarts (namely OSC and TUIO) because they are the main drive-forces behing MT communities (the biggest is NUI group), if you stick with frameworks or whatever that assures this standards you can find your way among new programs or easily integrate new code (or code from others!) – and new hardware too. I’ve used the C++, Processing, PureData and Flash AS3. They are pretty much the same idea/concept but ported to the idiosyncrasies of each language – you are probably not familiar with either Processing nor PureData but they are programming languages designed for multimedia (Processing is java-derivate language developed by the MIT for graphical designers and PureData is mainly derieved to sound programming but it is a graphical language so there’s no code). 1 – are you comfortable in this language? 2 – what graphic back-end do you want do use? 3 – how fast should it run? Because as you know 1) matters a lot… 2) depends on what graphics you want (OpenGL preferably uses C++ or Java, Processing or Pd) while Flash is a different possibility – there’s also a pythonMT (python multitouch framework) and you can join it with pyglet (opengl for python). The 3) is very easy, it goes like this, from fastest to slowest (based on my experience): C++, PureData or Java, Processing or Flash. So its all up to you, for instance, in my thesis I decided to use Flash AS3 for the interface, because its easy to code (well.. should be) and gives nice graphics with few effort, because it is not an efficient framework I use a C++ core and the audio engine is in PureData (because I’m familiar and its medium-fast) – here’s a video. These are the core components, they track the video input and determine how many touch points there are. Once again, if you use a standard tracker that can output TUIO messages, you can use all of the frameworks that I’ve mentioned. In VIMMI lab we use CCV (Community Core Vision) so I’d recommend this one, and by far it is the simplest to set up and use (just run it..hehe). The SimTouch has a nice idea, it is transparent so you can put on top of your running application – but… sometimes it seems to have some bugs. So I’d rather use TUIO simulator from the Pompeu Fabra folks (the ones that developed the Reactable). There’s a million more things that I could talk, and the text I’ve wiritten is already to long… so If you need something ask Maybe I can help. My first posts in the thesis blog show a lot of the decisions and possibilities that you have for Multitouch, I have also a couple of vimeo videos trying some Flash multitouch libs, etc… and playing pong.